Most people go out looking for a career. Mark Brent’s career found him. Brent was walking around the Water Tower Place shopping center in downtown Chicago one day with some buddies. Out of nowhere, a modeling agent approached him and asked if he’d ever worked as a model, or would want to. As an 18-year-old just out of high school in need of money, he said yes. Six years later, the Illinois State senior has appeared in campaigns for Abercrombie and Fitch and Calvin Klein, walked runways, and even been spotted on displays inside the Meijer store in Normal. But also in those six years, the high fashion model carved out time to pursue and now finish his degree at Illinois State—something he promised to do after his father’s cancer diagnosis. His father died in 2011. Brent grew up the oldest of five siblings on a farm in LeRoy, a small town around 15 miles southeast of Bloomington-Normal. He worked on the farm and played sports as a kid, so getting handed a modeling agent’s business card was the last thing he expected. But he signed with the agency and lived on his own in Chicago for two years after high school—until his dad got sick in 2010. Brent appears in an ad for the H&M store. Brent moved back home to LeRoy, took time off from modeling, and started taking classes at Illinois State. He promised his dad he’d finish his degree, in hopes of finding a steady job. The money isn’t the only perk. Brent says modeling has built up his confidence in a big way. That’s given Brent, now 24, a unique opportunity to build contacts with upper-level management at some big fashion companies. Combined with what he’s learned as a double major in international business and marketing, Brent can see himself one day working in global marketing for a major fashion company. After all, he already knows the ins and outs of a campaign—styling, location, photographers, etc. But for now, Brent plans to spend more time modeling after graduation. 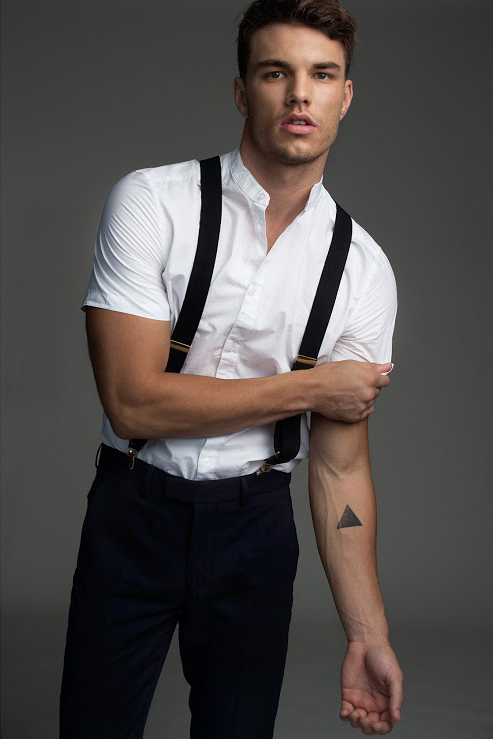 His primary agency is TWO Management, with additional representatives for modeling and acting in Chicago and both coasts. He’s planning to move to Los Angeles after graduation, with time in New York around Fashion Week. He’s never worked overseas—another door that’ll be open now that syllabi and finals are behind him. Brent’s degree is his safety net, but it’s more than that. His general education coursework broadened his worldview and sparked an intellectual interest in new things—one of the reasons he made his promise. “You don’t get that if you don’t go to college,” Brent said.